An attractive new template for Joomla 2.5 version of the design studio has functions HotJoomla dynamic output the content with the size of the monitor screen or mobile device. 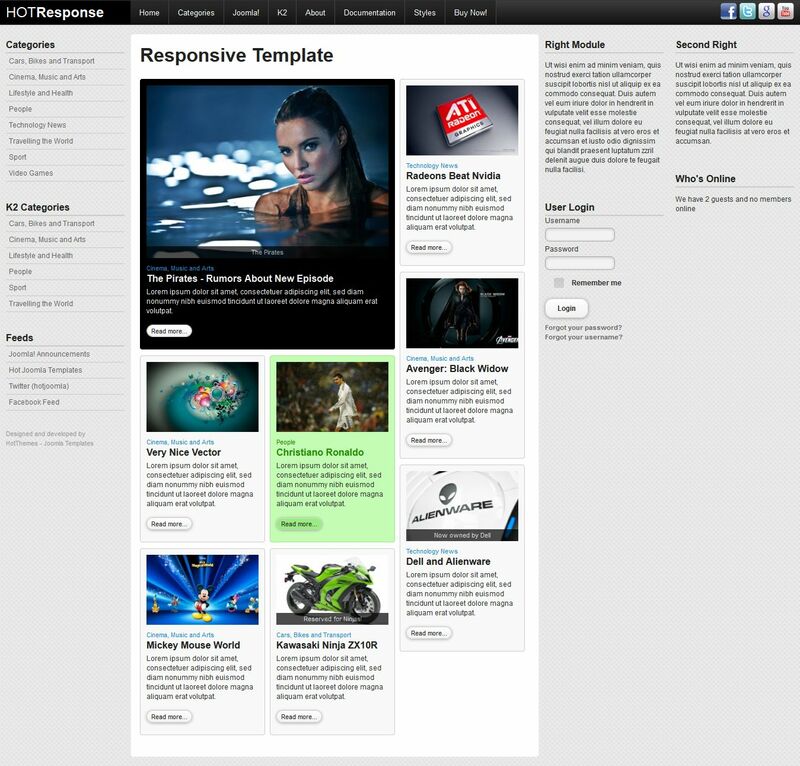 HOT Responsive template is correctly displayed on the screens of all devices. In his composition, he has a component K2 and jQuery Masonry plug-in, which is responsible for the flexible and correct placement of materials on this site. The template is suitable for construction sites, involving placement of photos, videos, and other investments.